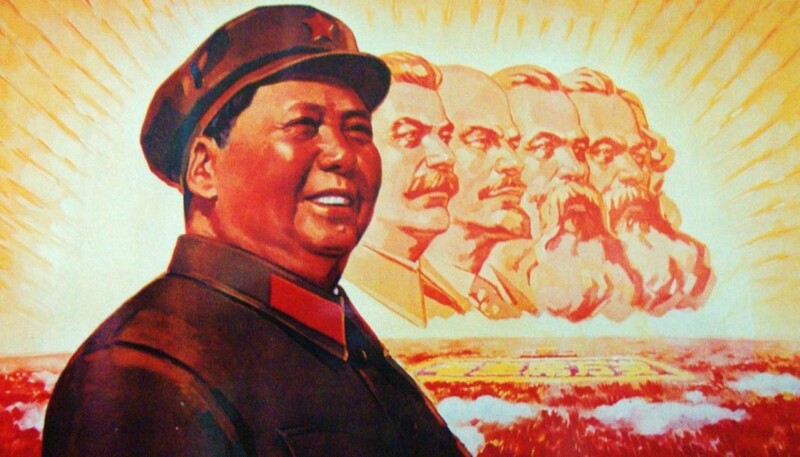 The most inhumane example of Mao’s contempt for human life came when he ordered the collectivization of China’s agriculture under the ironic slogan, the “Great Leap Forward.” A deadly combination of lies about grain production, disastrous farming methods (profitable tea plantations, for example, were turned into rice fields), and misdistribution of food produced the worse famine in human history. Deaths from hunger reached more than 50 percent in some Chinese villages. The total number of dead from 1959 to 1961 was between 30 million and 40 million — the population of California. Only five years later, when he sensed that revolutionary fervor in China was waning, Mao proclaimed the Cultural Revolution. Gangs of Red Guards — young men and women between 14 and 21 — roamed the cities targeting revisionists and other enemies of the state, especially teachers. All the while, Mao kept expanding the laogai, a system of 1,000 forced labor camps throughout China. Harry Wu, who spent 19 years in labor camps, has estimated that from the 1950s through the 1980s, 50 million Chinese passed through the Chinese version of the Soviet gulag. Twenty million died as a result of the primitive living conditions and 14-hour work days. And yet Mao Zedong remains the most honored figure in the Chinese Communist Party. At one end of historic Tiananmen Square is Mao’s mausoleum, visited daily by large, respectful crowds. At the other end of the square is a giant portrait of Mao above the entrance to the Forbidden City, the favorite site of visitors, Chinese and foreign. In the spirit of Mao, China’s present rulers continue to oppress intellectuals and other dissidents such as human-rights activist Liu Xiaobo. He was sentenced last month to 11 years in prison for “inciting subversion of state power.” His offense: signing Charter 08, which calls on the government to respect basic civil and human rights within a democratic framework. .
Lee Edwards, a senior fellow at The Heritage Foundation, is president of the Victims of Communism Memorial Foundation.